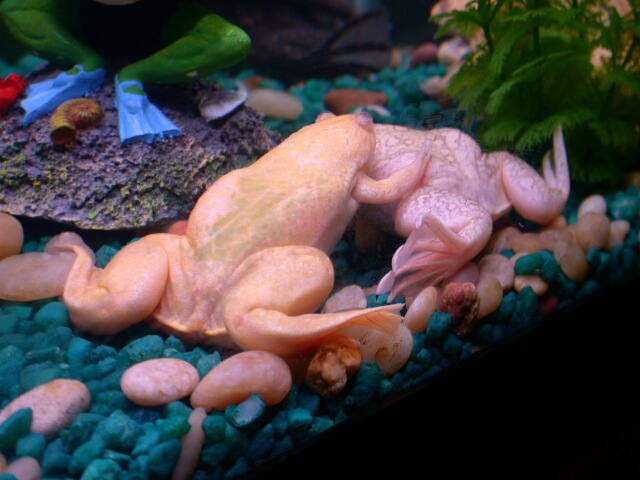 Albino frogs come in a varitey of shades. The eye color can be from pale pink, deep red to dark purple and inbetween. 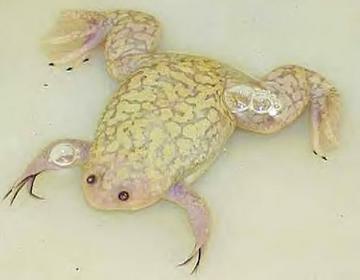 Reticulated albinos have pigmentation in red, purple and yellow but are still albino. 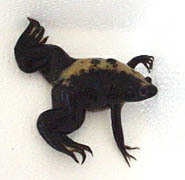 Pigmented frogs can be any shade of black, brown, green, tan and grey. They can have large marbled markings or small specks of diffrent colors. Some can even appear to be a solid color. 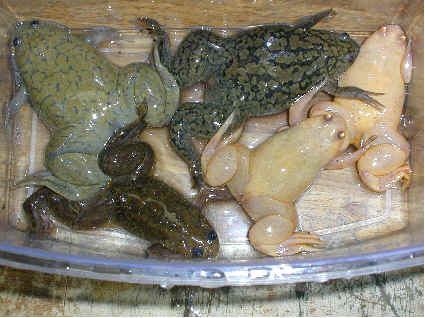 They all have milky white undersides and their eye color can range from light brown, copper, amber and dark brown. 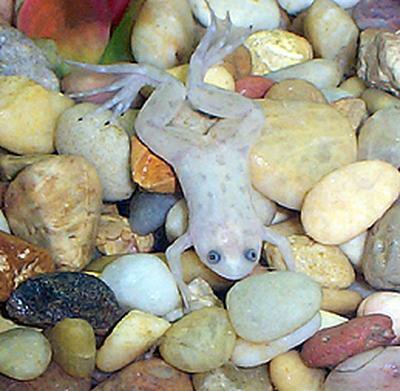 The speckled froglet pictured above has some sort of pigmentation but is clearly an albino. I am unsure if this is a form of reticulation or if it is something completely diffrent. 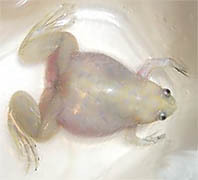 I only know of two cases of a froglet such as this. 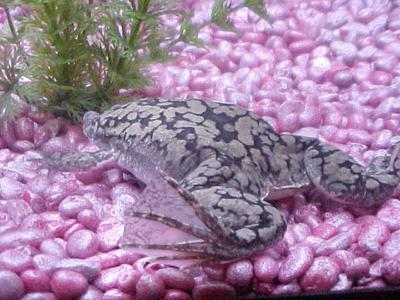 This froglet, "Dozer" and my previous froglet, "Spot" both had this speckled pattern. 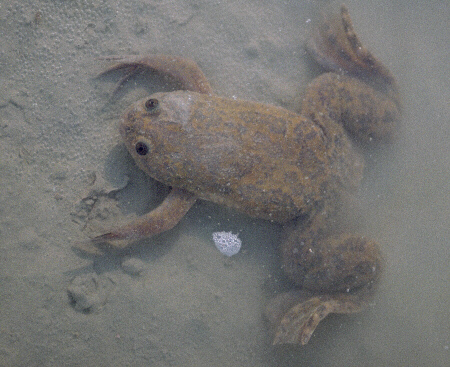 But the speckled pattern fades completely upon sexual maturity (unsure if it is related) usually around 4-6 months. Both frogs have since lost any evidence of a pattern. 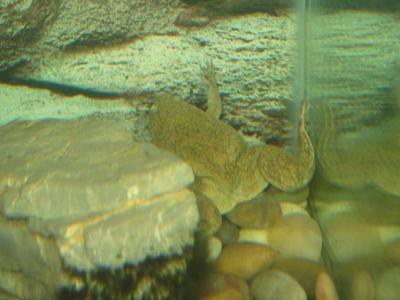 The pictures I have of "Spot" did not come out clear enough to be posted here, but are available.